Featured in My Weekly, Travel Essentials. Don't set off flying without these! 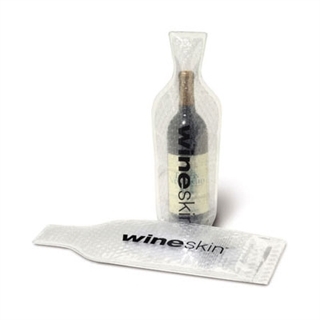 The WineSkin Bottle Transport Bag is an effective and simple solution for safely transporting bottles and is designed to accommodate virtually every 750ml bottle of wine or fortified spirit bottle shape. 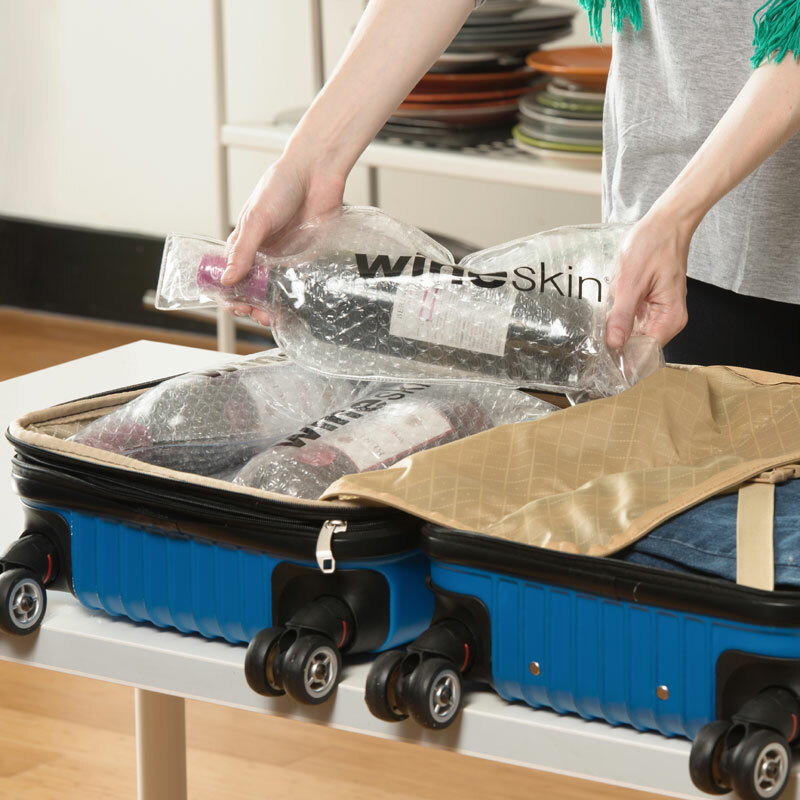 The wine bottle protector is air-cushioned, no-puncture bag which lets you travel with wine so you can transport wine bottles in a suitcase or bag. Even though you can’t carry it on board yourself, simply put it in with your checked luggage. 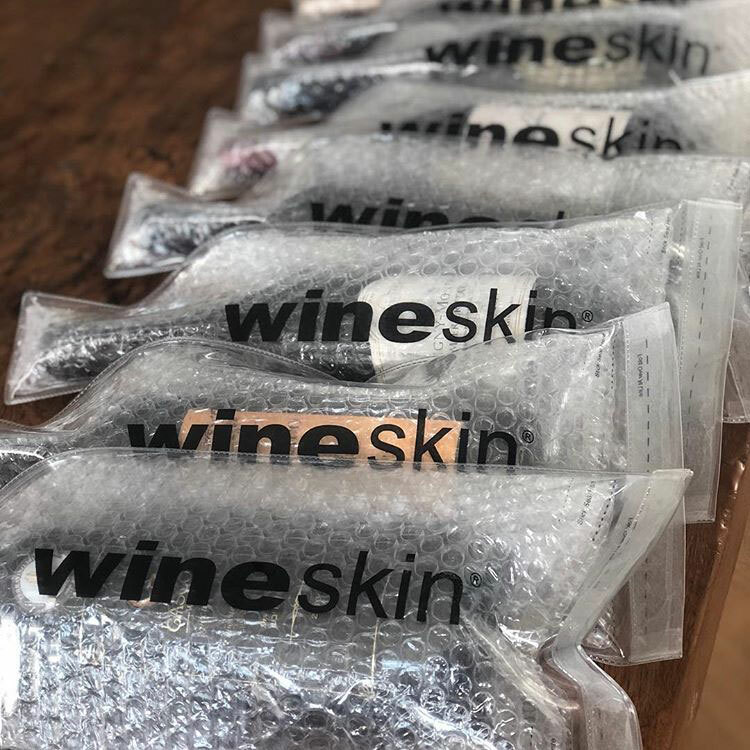 If you have a hankering for bringing home a couple of your favourite bottles of wine from your holiday, then we’d definitely recommend our wine bottle protectors when travelling. 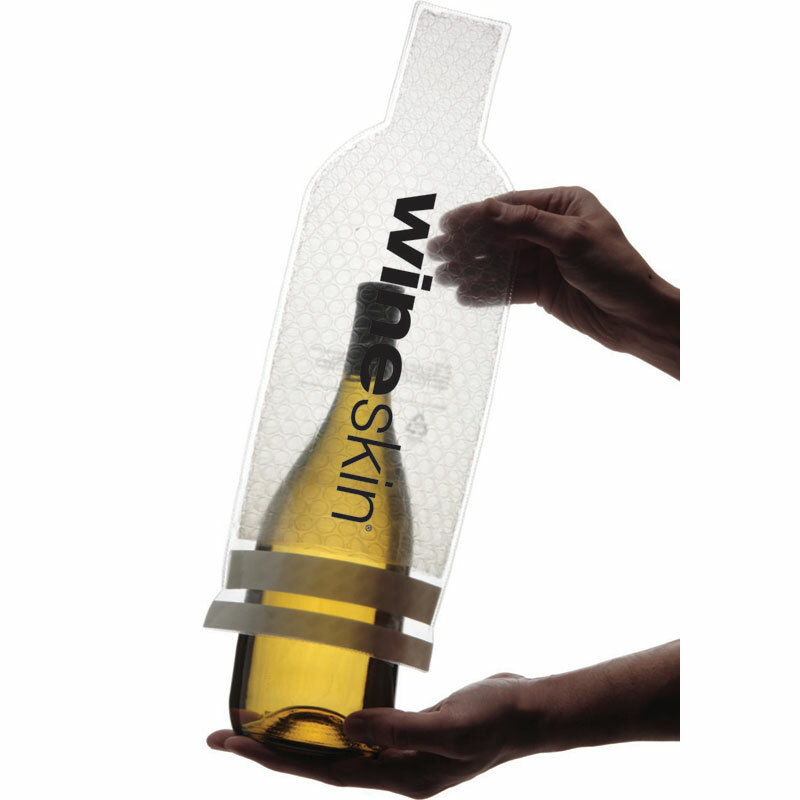 The original safe, transportable wine bottle bag! WineSkin's are also available in a set of 5. We are able to brand this item with your company logo and details! For more information, please contact us on 01903 786148 or email us at info@wineware.co.uk. Did actually what is was supposed to.